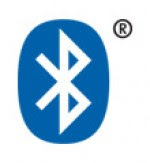 Bluetooth 3.0 will be officially announced next April 21, 2009 and it will be the start of high speed short range data transfer. The new version will actually negotiate a quick ad-hoc WiFi connection. The idea is to leverage the speed of WiFi while keeping power usage low, and I'd say it's a pretty trick solution, since most Bluetooth-capable devices also have WiFi radios . Since the ad-hoc WiFi connection is managed over Bluetooth, no actual wireless network is necessary, and the switch will appear seamless to the user except for the sudden increase in data transfer speeds.